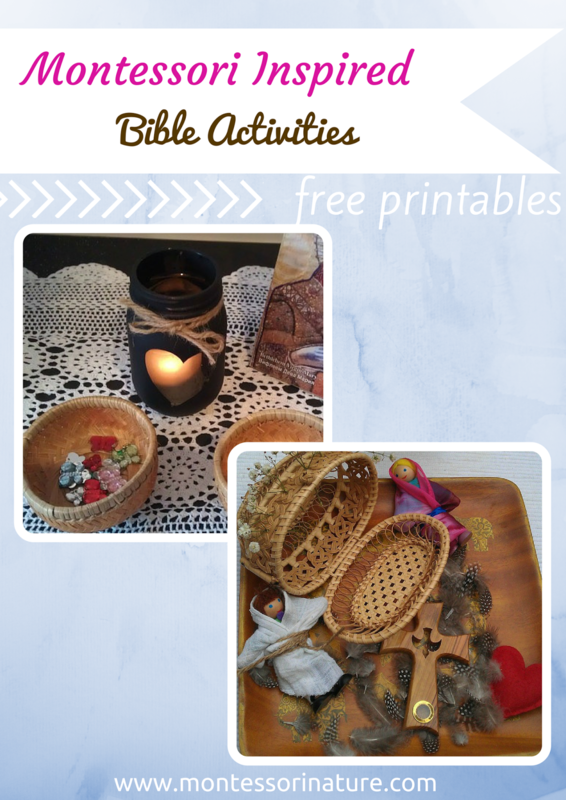 Montessori Inspired Bible Activities for Kids. 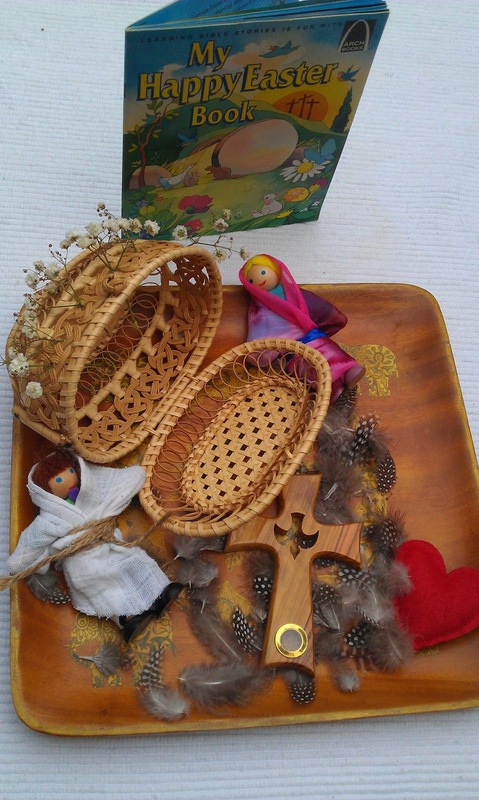 Bible centred Montessori inspired activities are a great way to reinforce and support our lifestyle and build faith that our family pursues. In my understanding, the Montessori method is all about adopting and modelling environment according to the child’s needs and interests. It feels amazing to be able to bring our faith into our learning environment which helps to bring so much more meaning into it. One wonderful side of the activities is that they also present some parts of history and culture along with aspects of grace and courtesy and character education. They also stimulate and provoke children for honest and sincere conversations. We also make it very personal. In her work, Maria Montessori was moved by passion born from her deep faith connected foundation. This does not make her method any less attractive or profound. 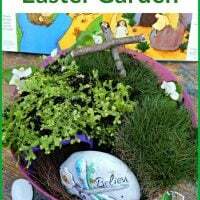 Here are a few examples of activities we did coming close to Easter. 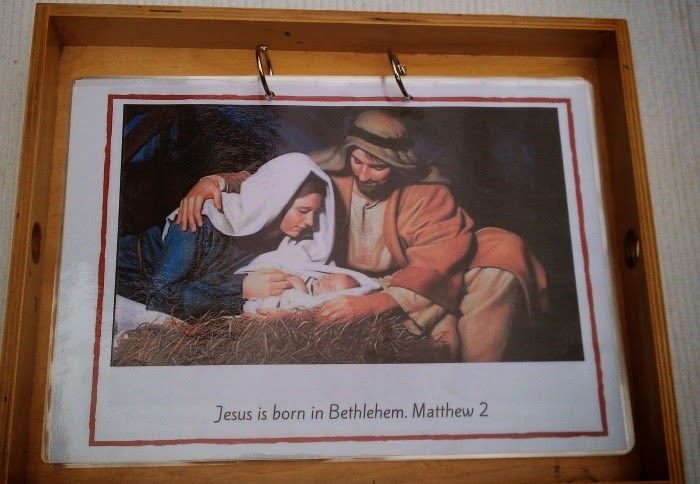 A picture book of Jesus life with references to the Bible. I put this picture book together using pictures of classical art paintings. This illustrates a few major aspects of Jesus’ ministry serving people. 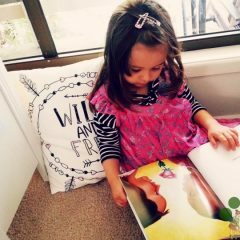 Like any other collection of a themed picture book in the Montessori classroom, this presents a great opportunity to spark an interest, engage in a conversation and discussion. My daughter truly has my blood inside. She was attempting to reenact every picture we looked at. It was quite adorable. This is a creative way to tell the story, make it visual and involve different senses. Christianity has many various symbols. Sometimes it is not easy for young children to understand the real meaning behind them. I use this to explain and present symbols in a simple, fun way. I found “My Happy Easter Book” perfect for young children. 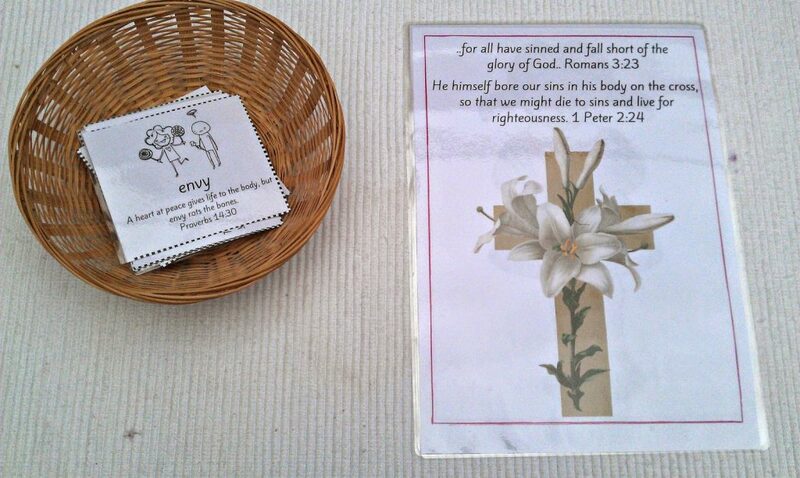 This activity presents different sins that Jesus took on the cross. You are welcome to download your free copy from my TpT store. At this stage we only discuss pictures. The concept is still too abstract for a three-year-old, but I like the idea of taking about purity and clean heart from the early beginnings. This one will serve us for many years to come. We look at a few examples of these and I just introduced my daughter to this art style allowing her to paint on the paper. 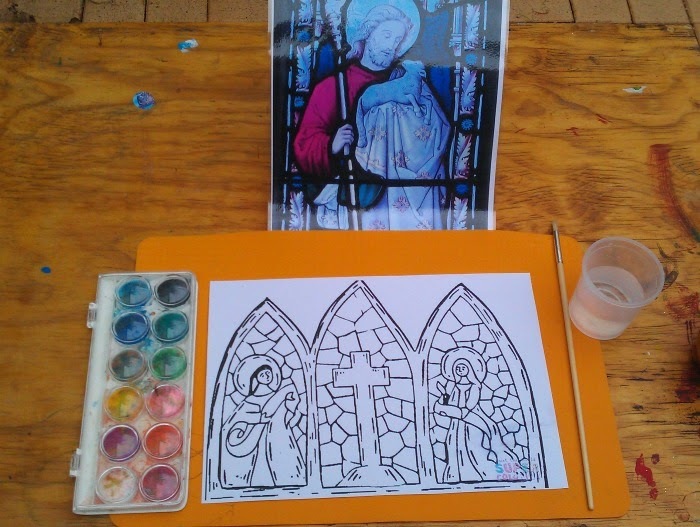 Later we will give it a go with homemade stain glass paints on a glass. This is something similar to a peace table. 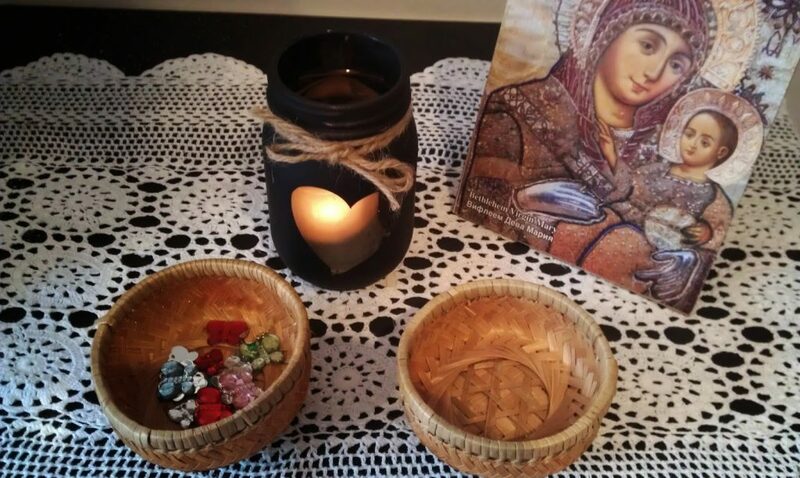 We light up a candle and my daughter chooses people she wants to pray for. She lifts up a butterfly, prays for a person she wants to bless and places butterfly in the other bowl. Sometimes we decide to name things, people we are grateful for and thank God for them one at a time using the same principal. It’s a very sweet and beautiful act of love and care. Connect for more resources, ideas, free Montessori inspired materials via facebook, pinterest, TpT, twitter. 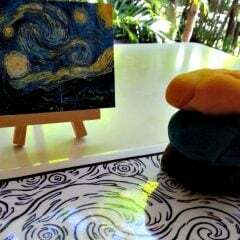 Play-dough Art Mat – Preschool Art Explorations. What a beautiful and inviting collection of materials. Thank you, dear Katherine, your words mean so much!